The wonderful world of audio accessories and tweaks knows many different products. From exotic mains cables to wooden bits on strings that are supposed to change the acoustics of the room, from magical capacitors to isolation platforms that float in mid air. Many of these products have serious supporters and rave reviews to tell us that they really work. If it seems to work why worry? Well, the fact that people claim to hear a difference is certainly not enough proof to me. Expectation plays a big role in audio. And even if there is a change to be heard, that in itself doesn't necessarily mean an improvement, certainly not in every context. I always like to have an additional explanation. Something that makes sense. I remember my own brother ordering a set of Peter Belt tweaks in the 80's. I'm not sure anymore what he paid for them, but the magical tweaks consisted of some sticky tape and a few bits of nylon. It was all supposed to be 'treated' and had to be put everywhere on your system, and even on the water pipes of your house. I don't think it made any difference, but my main problem with it was that there was no (good) explanation of why it should work in the first place. And I just refuse to believe that these things are discovered by accident. Putting triangular bits of sticky tape on my speaker cones? I never do that by accident, I have to say. But enough introduction. This review is about a product that makes perfect sense to me. It is the Stillpoints ERS cloth (see official site for a detailed description). ERS stands for Electro-magnetic/Radio Frequency Suppression material. It is also known as ERS paper, but it actually isn't paper at all. ERS consists of sheets of material that are supposed to absorb, redirect and diffuse high frequency interference. The manufacturer, Stillpoints, also known for their isolation feet, claims attenuations of 50 dB and more at frequencies of 10 MHz and higher. But they don't specify how this was measured nor in what sort of set-up, so we have to be very careful with these claims. The problem is obvious, though. More and more audio components contain digital electronics, running at a high clock frequency. Digital sources are the best example, but digitally controlled components could also suffer, as could those with a switching power supply. And if there's no source of HF interference inside the box, then the one next to it could produce enough, or else there is always interference on the mains. Specifically CD/DVD players are at risk. All contain a clock, running at 10 MHz or higher. This sort of frequency is very difficult to contain, as it will easily radiate out as RF. In a CD player there's also a bit of analogue amplification, necessary to give the weak signal from the DAC chip enough power to drive the cable to your amp. HF interference and a weak analogue signal in the same box is just asking for trouble. That is why adding something that will attenuate this interference sounds like a very good idea. So, the reasoning seems to be healthy. How is it implemented? ERS comes in sheets of about A4/letter size, making it easy to handle or send by post. The core of ERS is a mixture of carbon fibers of various lengths and sizes. 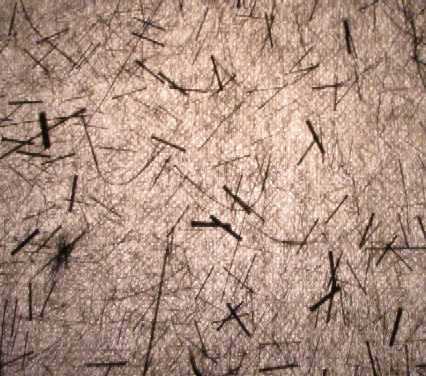 Stillpoints claims these fibers are coated with metals, such as nickel. The exterior is covered with a polyester textile on both sides. The edges of ERS have exposed conductive fibers and the polyester textile can be accidentally pierced so it should be installed with care to prevent short circuits. It does rather feel like a sort of paper, and it can be cut with scissors without any effort. Stillpoints, and some other reviewers, claim it can be used in any component. It will even work when placed on top of or underneath equipment. It could also be effective when wrapped around (mains) cables, according to Stillpoints. I have to say that I was looking forward to the effect that ERS would have on my CD player and amplifier. Several people in forums on the web even report that using too much of it can make your sound lifeless and flat. That would certainly suggest that is effective, although perhaps not in a way I would like. I had two sheets to try out, so I started with one on top of my CD player and one directly underneath. My player is a Micromega Stage 3, by the way, but with a new (tentlab) clock, much added damping, many new capacitors, schottky diodes and upgraded opamps and voltage regulators in some places. Thoroughly tweaked, in other words, and much better sounding than the original. But two external sheets of ERS didn't seem to make much of a difference to the sound. I thought I heard a tiny improvement, perhaps, in the treble. It might have been a bit sweeter and cleaner, but really not an improvement to justify ordering the stuff yourself. But, to be honest, it would have surprised me if it had made a huge difference. Trying to absorb RFI outside of the box just cannot be very effective. So, off with the lid and in with a sheet of ERS. I covered as much of the digital circuitry as I could without coming so close that I would risk short circuiting anything or obstruct the airflow. Because of the concerns mentioned above of making the sound too dry, I stayed away from the analogue output stage. The advantage of stuff like this is that it requires no burn in (hopefully, I would like to hear the explanation for that!) so when I was finished I sat down for a good listen. This time there was a difference, but it confused me somewhat. My initial response was that everything sounded completely different, but I couldn't put my finger on what had actually changed. The only thing that seemed obvious was that the sound was a bit warmer that before. After a while I did notice that there was also less noise and individual instruments sounded a bit 'fuller' with slightly more body. I also heard a slight increase in the depth of the soundstage. After an hour or two I decided that things were really warmer, and that the bass was now a little bit too strong, so I moved my speakers about an inch further into the room. That corrected the tonal balance, but at the cost of focus and bass resolution, sadly. But, of course, I was 'turning two knobs at the same time' when I moved my speakers, so I guess it just added to my confusion. I also had the impression that I was now able to hear shortcomings in my CD player, or in recordings, that I hadn't heard before: a slight 'edge' to the high frequencies especially with cymbals and in complex passages. Strangely enough I also had the distinct impression that the sound of cymbals itself had improved, in spite of that 'edge'. They sounded more like metal, with more inner detail and a longer decay time. Actually, they sounded quite a bit more natural, but a little emphasized. So, by he end of the evening I still had difficulties to say precisely what had changed, only that there was definite change. I listened for a couple of hours again the next day, and my impression was much more positive now. Bass even seemed a bit tighter. The additional warmth was still there but the more I listened, the more I recognised that the treble was actually quite a bit cleaner than before. That 'edge' was disappearing quickly and turned out to be a misinterpretation of less time smear in the attack of notes, making the 'leading edge' stronger and a bit more pronounced. Once I was used to that it became clear that there was less noise, distortion and interference between instruments going on than before, and things sounded more natural than ever. A specific experience really brought that home to me. I was listening to some music by Purcell with a female voice recorded in a large space. It sounded strangely familiar to me. It took me a few second to realise why this was so, but then it struck me: this sounded like a real person, singing in a real space and it reminded me of hearing people sing in a church or chapel. I have to say that it came as a bit of a shock to me to all of a sudden have reality as a reference, and not a better system. Of course, I'm not telling you this to show you what a fantastic and spectacular difference ERS makes. It certainly won't transform your system to the point that it now sounds like reality. But it took away enough of the artificial additions of my CD player and lets the important tiny details through in a way that can indeed remind you of a real event in a real space. In the end it took me almost a week to get used to the change in the sound, but the more I adjusted to it, the more I liked it. After about two weeks I even added more ERS to the player, and it did improve the sound even more. Sadly, putting about 2/3 of a sheet in my Anatek A50 amplifier didn't make any difference at all. I even wrapped some around its mains cable but couldn't hear any changes. With me the improvements were restricted to the CD player, and only when I put it inside. A friend of mine put about half a sheet in his Arcam 8SE CD player, but could not hear a difference. Another friend put some in his Electrocompaniet DAC and likes the effect very much. With him the sound got much dryer. He initially thought he might have added too much, but after getting used to the sound he liked it and didn't take any out. It also improved his pre-amp. At this price, about 20 euros per sheet, I can only recommend ERS very highly. It does make a difference, and the improvements are disproportional to the price. It might take some getting used to, though, so give yourself some time to adjust to it before you draw conclusions. In my experience it only works in digital components, and not even in all of them. But when it works the effect is wonderful and well worth the investment. One additional advantage is the fact that it is relatively easy to install and should always be removable too, so you can undo things if you don't like the difference. If you own a CD player I would say you really cannot afford not to try this! Your review is a very accurate portrayal of what can happen when ERS is auditioned. There are too many variables that effect the results for any universal recommendation to be true in every situation. One just has to try it everywhere and anywhere. It is truly a trial and error product from the consumers perspective. Stillpoints never intended ERS to become such a consumer driven tweak; installed after the design is complete. We meant it to be used in the design process; installed in the best position, in the right quantities during the manufacturing process. ERS would be an ever greater cost effective improvement used in this manner. Many manufacturers are using ERS; some tell, others don't. The bottom line is that ERS allows the signal to come through with less degrading EMI/RFI artifacts and allows the component to present a more accurate portrayal of the event.